Gelscoe Motorsport supply a wide range of parts for your GT40 from suspension and drivetrain to lighting and electrical. Everything supplied is made to the original manufacturers specifications from the original drawings and produced to the highest standards. 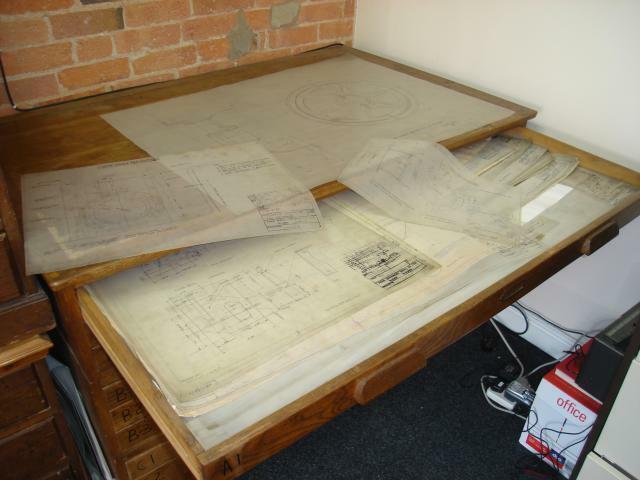 The wooden drawing cabinet you see in this picture is the original FAV chest containing the only original and complete set of GT40 drawings in existence.